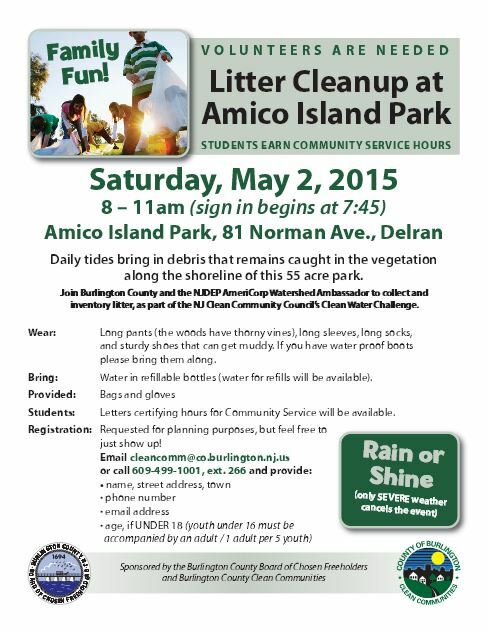 Have you been to Amico Island in Delran? Volunteers are needed to help clean up the debris that floats in on the tide. Students – do you need community service hours? A letter certify hours can be provided. Hope to see you there.